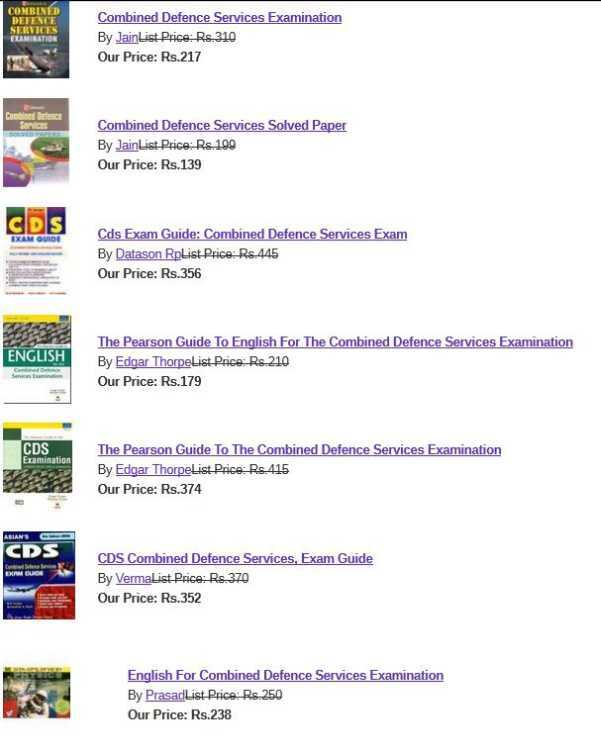 Here I am looking for the last year question paper of Combined Defense Service (CDS) Exam, can you please provide me the same?? Union Public Service Commission conducted Combined Defense Service (CDS) Exam for recruitment to the post of Air Force Academy, Indian Military Academy, Indian Naval Academy, and Officers Training Academy. 2. Which of the following institutions was/were asked by the Government of India to provide official estimates of black (unaccounted) money held by Indians, both in India and abroad? 4. Which one among the following programmes has now been restructured as the National Rural Livelihood Mission? 5. Which of the following are included in the category of Direct Tax in India? 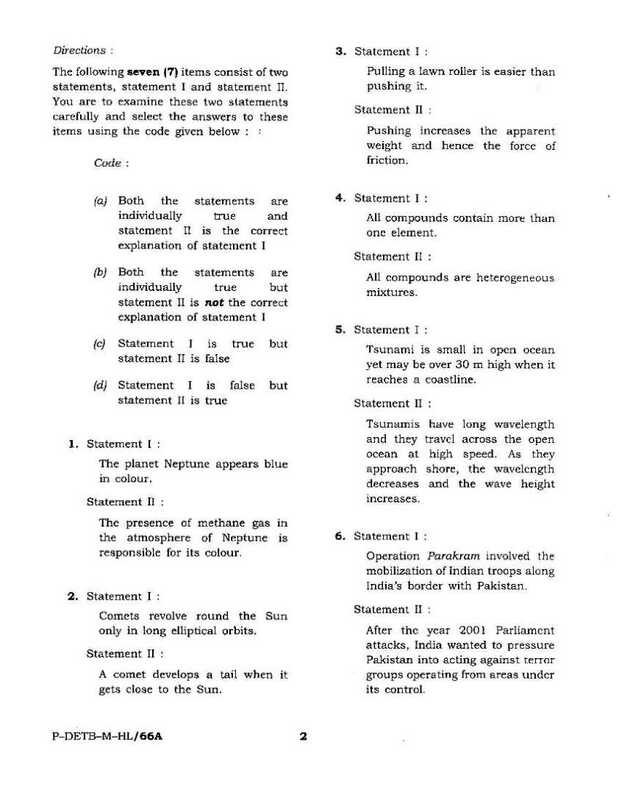 Here I am providing the information regarding the CDS Entrance Exam Question Paper for your idea . Mathematics For C.D.S. 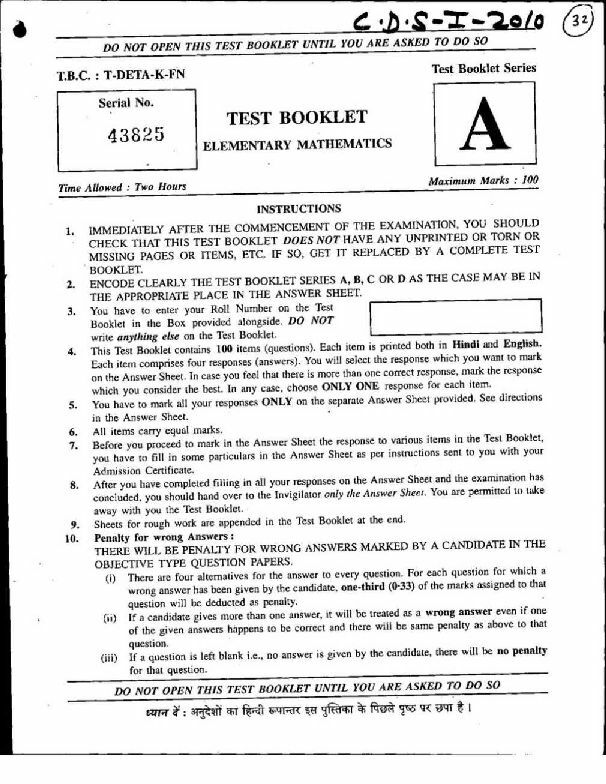 Entrance Exam. All times are GMT +6.5. The time now is 05:09 AM.